Please support these events if you possibly can. Yesterday, another national day of action was held, with 20 events taking place around the UK, and Holland and Barrett being the main target. We didn’t hold an event in Birmingham, because we had our first city centre planning meeting on the 29th. 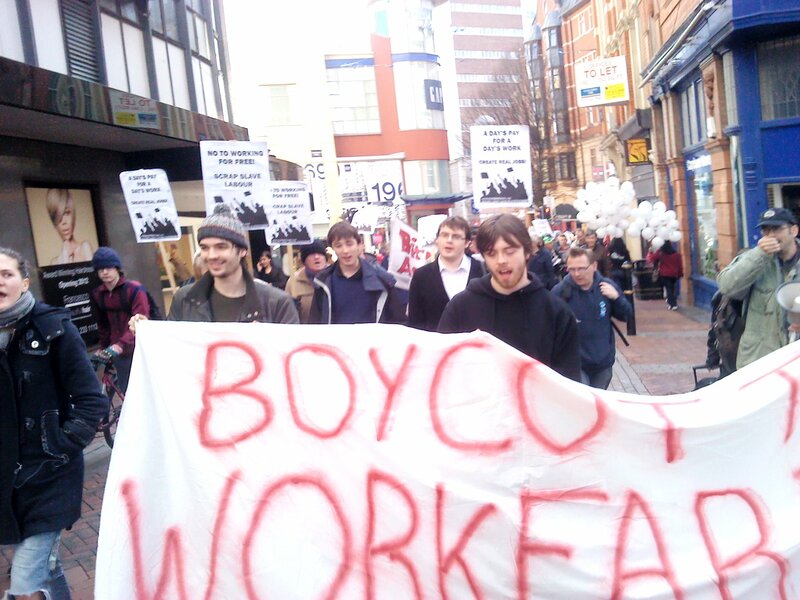 At our meeting, it was decided to hold a walk of shame in Birmingham city centre – a tour around the city exposing some of the high street profiteers and explaining what workfare is, why it should be scrapped and what should replace it.